See the full section of the city’s charter here. At that time, Pat Dalton, the assistant city attorney, informed the city that any sale or transfer of the lot must be approved by a public vote, according to memos obtained by The Spokesman Review. Last week, city of Spokane officials announced a plan that would involve the sale of the property to a private, Utah-based climbing gym developer. That sale appears to violate the city charter, which requires a public vote on any sale of parkland. City officials argue that the property, often referred to as the Bosch Lot after previous owners of the land, has never been a park, and thus is exempt from the charter provision. Still, Condon said if it becomes necessary, the city will ask a judge to rule on the definitions and whether a sale would violate the city charter. Ultimately, the Park Board will vote on whether or not to sell the land. Chris Wright, the president of the Park Board, did not return a message seeking comment. “To sit on these properties and not have them available for public use is not the answer,” Condon said. “From the Center of Justice’s perspective, we think it’s extremely important that the process be followed, particularly for parklands,” said Executive Director Rick Eichstaedt. Eichstaedt said he isn’t against the project itself. It just has to be done the right way, he said. “The city attorney’s own analysis seems like a smoking gun of why this approach isn’t legal,” Eichstaedt said of the memos, which he has read. An additional hurdle to selling or leasing the land has to do with how it was purchased. Because the property was bought with federal and state money, any sale, lease or transfer has to be approved by the secretary of housing and urban development and the chairman of the Washington state Interagency Committee for Outdoor Recreation, according to Dalton’s memo. Last week, Gavin Cooley, the city’s chief financial officer, said the city would be open to leasing the land if that became necessary. However, a lease lasting more than three years must be approved by the City Council, a 2009 memo notes. Additionally, if the land is determined to be part of Riverfront Park, any lease lasting longer than 30 days would need to be voted on by the public. Restrictive property covenants could be established to prevent that from happening and preserve public access, Condon said. 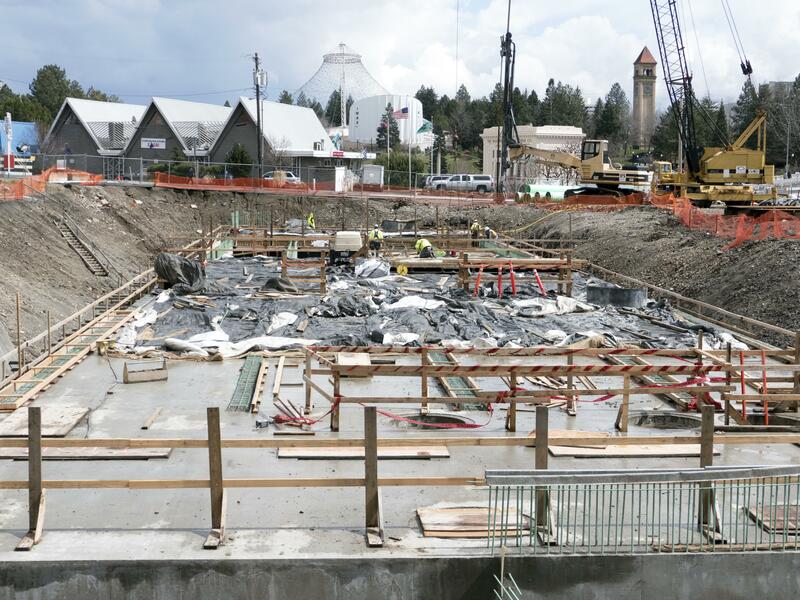 The city is partnering with Utah-based climbing gym owner and developer Dustin Buckthal to build the gym on park property near the north shore of the Spokane River, on the corner of Monroe Street and Summit Boulevard. A local couple, Allison and Jess Roskelley, will be co-owners. Buckthal said he’d be open to a lease, although it would make financing the project more difficult. “To be clear, the city has put a ton of restrictions on this property for me,” he said. The city is requiring that the whole facility be “open to the public.” Per the agreement, Buckthal said he can’t include housing or rental office space in the building. Additionally, the city required he leave space for a bike shop. “We’re not trying to do something in a dark corner,” Buckthal said. Although the sale price of the land hasn’t been determined, Buckthal said it would be sold at market rate. “Although it’s a private development, there are a whole lot of restrictions and expectations,” he said. The 70-foot-tall climbing gym would be the keystone feature in a city plan to develop a 3.5-mile trail system that will run along the south shore of the river through Peaceful Valley, across the Sandifur Bridge and connecting with the Centennial Trail on the north shore. “It does clearly expand recreational opportunities for our citizens,” Condon said of the development. Since its purchase in 1974, the lot has been used for parking. The property was acquired by the city in 1975 via eminent domain following Expo ’74. According to the memos from 2008 and 2009, the state interagency committee provided $314,625 toward the purchase of the lot in 1974. “The money came from a fund established specifically to purchase land for outdoor recreation uses,” a 2008 city memo states. Over the years, the money earned from the parking lot has gone to the parks department. The gym would be Spokane’s third climbing gym. The Bloc Yard Bouldering Gym opened in north Spokane in March. Wild Walls, Spokane’s first climbing gym, opened in 1995. Buckthal said in his experience more climbing gyms lead to more climbers. Still, Timon Behan, the owner of Wild Walls, is concerned about how the city handled the sale of public land. He also wonders why he never had a chance to bid on the project. “Why hasn’t it been opened up to other businesses to also bid on?” Behan said. Published: April 21, 2017, 6 a.m.